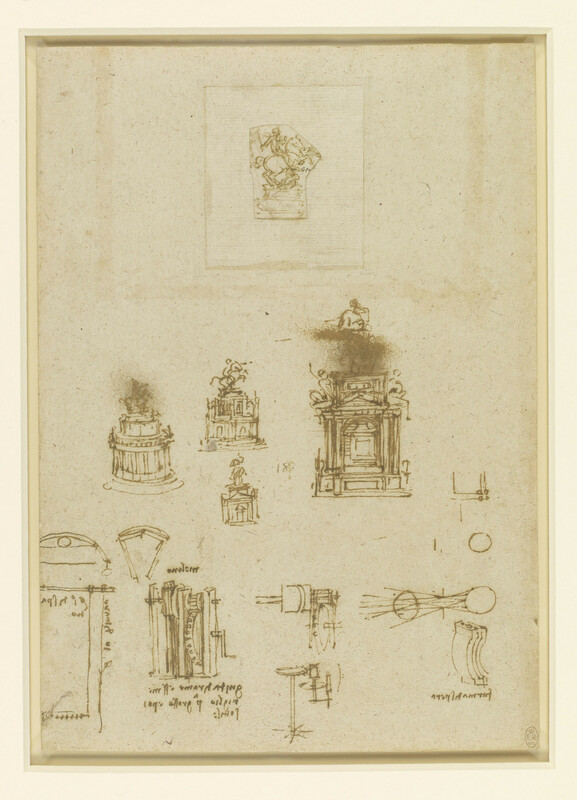 A series of drawings of views of an equestrian monument; with a ground plan of the columns of the monument; a diagram concerning optics; a diagram of cog-wheels and gears; a sketch of a mill, and some notes. The sketch of the monument on the upper part of the sheet (formerly mounted separately as RCIN 970125) is a fragment from the Codex Atlanticus, folio 83 verso-b. It was reattached to the sheet in January 2018.